Bennington, Cynthia C, Ned Fetcher, M. C Vavrek, Gaius R Shaver, K. J Cummings, and James B McGraw. “Home Site Advantage In Two Long-Lived Arctic Plant Species: Results From Two 30-Year Reciprocal Transplant Studies”. Journal Of Ecology 100, no. 4. Journal Of Ecology (2012): 841-851. doi:10.1111/j.1365-2745.2012.01984.x. Street, L. E, Gaius R Shaver, Edward B Rastetter, M. T van Wijk, B. A Kaye, and Mathew W Williams. “Incident Radiation And The Allocation Of Nitrogen Within Arctic Plant Canopies: Implications For Predicting Gross Primary Productivity”. Global Change Biology 18, no. 9. Global Change Biology (2012): 2838-2852. doi:10.1111/j.1365-2486.2012.02754.x. Gough, Laura, K. L Gross, E. E Cleland, C. M Clark, Scott L Collins, J. E Fargione, S. C Pennings, and Katharine N Suding. “Incorporating Clonal Growth Form Clarifies The Role Of Plant Height In Response To Nitrogen Addition”. Oecologia 169, no. 4. Oecologia (2012): 1053-1062. doi:10.1007/s00442-012-2264-5. Cahoon, S. MP, P. F Sullivan, Gaius R Shaver, J. M Welker, and E. Post. “Interactions Among Shrub Cover And The Soil Microclimate May Determine Future Arctic Carbon Budgets”. Ecology Letters 15, no. 12. Ecology Letters (2012): 1415-1422. doi:10.1111/j.1461-0248.2012.01865.x. Robertson, G. P, Scott L Collins, David R Foster, Nicholas Brokaw, Hugh W Ducklow, Ted L Gragson, Corinna Gries, et al.. “Long-Term Ecological Research In A Human-Dominated World”. Bioscience 62, no. 4. Bioscience (2012): 342-353. doi:10.1525/bio.2012.62.4.6. DeSlippe, J. R, M. Hartmann, S. W Simard, and W. W Mohn. “Long-Term Warming Alters The Composition Of Arctic Soil Microbial Communities”. Fems Microbiol Ecol 82, no. 2. Fems Microbiol Ecol (2012): 303-15. doi:10.1111/j.1574-6941.2012.01350.x. Hagen, E. M, K. E McCluney, Karl A Wyant, C. U Soykan, Andrew C Keller, K. C Luttermoser, E. J Holmes, John C Moore, and J. L Sabo. “A Meta-Analysis Of The Effects Of Detritus On Primary Producers And Consumers In Marine, Freshwater, And Terrestrial Ecosystems”. Oikos 121, no. 10. Oikos (2012): 1507-1515. doi:10.1111/j.1600-0706.2011.19666.x. Graham, David E, Matthew D Wallenstein, Tatiana A Vishnivetskaya, Mark P Waldrop, Tommy J Phelps, Susan M Pfiffner, Tullis C Onstott, et al.. “Microbes In Thawing Permafrost: The Unknown Variable In The Climate Change Equation”. International Society For Microbial Ecology Journal 6, no. 4. International Society For Microbial Ecology Journal (2012): 709-712. doi:10.1038/ismej.2011.163. Larouche, Julia R, William B Bowden, R. Giordano, M. B Flinn, and Byron C Crump. “Microbial Biogeography Of Arctic Streams: Exploring Influences Of Lithology And Habitat”. Frontiers In Microbiology 3. Frontiers In Microbiology (2012). doi:10.3389/fmicb.2012.00309. Crump, Byron C, L. A Amaral-Zettler, and George W Kling. “Microbial Diversity In Arctic Freshwaters Is Structured By Inoculation Of Microbes From Soils”. International Society For Microbial Ecology Journal 6, no. 9. International Society For Microbial Ecology Journal (2012): 1629-1639. doi:10.1038/ismej.2012.9. Merck, Madeline F, and Bethany T Neilson. “Modelling In-Pool Temperature Variability In A Beaded Arctic Stream”. Hydrological Processes 26, no. 25. Hydrological Processes (2012): 3921-3933. doi:10.1002/hyp.8419. Simard, S. W, K. J Beiler, M. A Bingham, J. R DeSlippe, L. J Philip, and F. R Teste. “Mycorrhizal Networks: Mechanisms, Ecology And Modelling”. Fungal Biology Reviews 26, no. 1. Fungal Biology Reviews (2012): 39-60. doi:10.1016/j.fbr.2012.01.001. Knapp, A. K, M. D Smith, Sarah E Hobbie, Scott L Collins, T. J Fahey, G. JA Hansen, D. A Landis, et al.. “Past, Present, And Future Roles Of Long-Term Experiments In The Lter Network”. Bioscience 62, no. 4. Bioscience (2012): 377-389. doi:10.1525/bio.2012.62.4.9. Eugster, W., and George W Kling. “Performance Of A Low-Cost Methane Sensor For Ambient Concentration Measurements In Preliminary Studies”. Atmospheric Measurement Techniques Discussions 5, no. 8. Atmospheric Measurement Techniques Discussions (2012): 2567-2590. doi:10.5194/amt-5-1925-2012. Elmendorf, Sarah C, Gregory HR Henry, Robert D Hollister, Robert G Björk, Noemie Boulanger-Lapointe, Elisabeth J Cooper, Johannes HC Cornelissen, et al.. “Plot-Scale Evidence Of Tundra Vegetation Change And Links To Recent Summer Warming”. Nature Climate Change 2, no. 6. Nature Climate Change (2012): 453-457. doi:10.1038/nclimate1465. 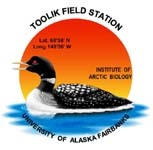 Nielsen, L. “A Portal To Toolik Field Station”. Frontier Scientists, 2012. http://frontierscientists.com/2012/10/portal-toolik-field-station/. van de Weg, M. J, Ned Fetcher, and Gaius R Shaver. “Response Of Dark Respiration To Temperature In Eriophorum Vaginatum From A 30-Year-Old Transplant Experiment In Alaska”. Plant Ecology And Diversity. Plant Ecology And Diversity (2012): 1-5. doi:10.1080/17550874.2012.729618. Euskirchen, E. S, Syndonia M Bret-Harte, G. J Scott, C. Edgar, and Gaius R Shaver. “Seasonal Patterns Of Carbon Dioxide And Water Fluxes In Three Representative Tundra Ecosystems In Northern Alaska”. Ecosphere 3, no. 1. Ecosphere (2012): art 4. doi:10.1890/es11-00202.1. Merck, Madeline F, Bethany T Neilson, Rose M Cory, and George W Kling. “Variability Of In-Stream And Riparian Storage In A Beaded Arctic Stream”. Hydrological Processes 26, no. 19. Hydrological Processes (2012): 2938-2950. doi:10.1002/hyp.8323. Barrett, K., Adrian V Rocha, M. J van de Weg, and Gaius R Shaver. “Vegetation Shifts Observed In Arctic Tundra 17 Years After Fire”. Remote Sensing Letters 3, no. 8. Remote Sensing Letters (2012): 729-736. doi:10.1080/2150704x.2012.676741.